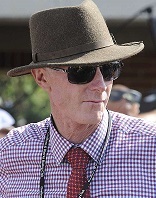 Leading country trainer Danny Williams has thrown his support behind The Kosciuszko concept and is already working on how to tackle the challenge of showcasing his best horses to gain places in the 12 horse field. 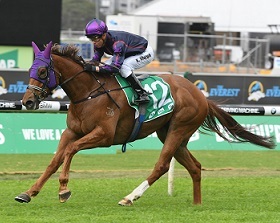 The Kosciuszko is run over 1200m under set weights and penalties conditions, carries prizemoney of $1.3 million and will be run at Royal Randwick on October 13 on the Everest program. Like The Everest, a horse earns a run in the race via somebody owning that place and making a deal with a horse’s connections. The major difference is that anybody can win one of those 12 places by purchasing a $5 ticket at TABs and AHA pubs across New South Wales. “I think it’s a great concept and I’m highly excited it’s incorporated the punter in the pub and gives them an opportunity throughout NSW to select a horse,’’ Williams said. The $5 Kosciuszko sweep tickets go on sale from Thursday and the owners of the 12 places in the race will be known in mid-September and it will then be up to those winners, with assistance from Racing NSW, to source their Kosciuszko runners. Williams has a number of horses that appear desirable like Country Championships runner-up Don’t Give A Damn, Kopi Luwak, the in-form She Knows, Acquittal and Highway Sixtysix. He said now it’s up to him to work out programs particularly for those horses that need exposure. “We’ll learn a lot about the concept from this year to next year,’’ he said. “We are a bit shell-shocked at the moment but I think it’s a very positive concept. It’s doesn’t just give someone with the best horse an opportunity but someone lucky enough to be associated with drawing a horse. “I know I am going to have to highlight my horses by the draw date. Don't Give A Damn is one of Danny Williams' leading Kosciuszko hopefuls. (Pic: Steve Hart). Williams also welcomed increases in prizemoney for Highway races – he has won 15.5 Highways since their inception – from $60,000 to $75,000 from September 1 and the boost to those that don’t finish in the placings. The trainer of horses finishing from fourth to tenth in races at metropolitan, provincial and country races will receive an extra payment to be credited to an owner’s account. “That in itself is huge, particularly in the country it is going to give people confidence to have a horse in work,’’ Williams said. “You know if you’re running sixth or eighth you’re picking up prizemoney to sustain having that horse in work. TAB’s market on The Kosciuszko has Care To Think a $6 favourite ahead of Victorem and Eckstein ($8) with Don’t Give A Damn at $11. Tickets for The Everest race day, also featuring The Kosciuszko, are on sale now - starting from just $25 for early birds.